Is your regular commute taking all the fun out of your driving experience? Well maybe it’s time for a road trip, and we have just the places for it! The Red Rock Scenic Road is in the good old US of A, and it weaves through Sedona’s Red Rock Country and as you have probably guessed, there are a lot of Red Rocks on the route and they look absolutely awesome. You will feel like you have gone back in time to an old western. We’d love to do this one on a bike, maybe a nice Harley. 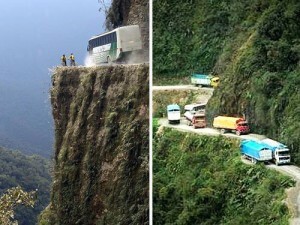 The North Yungas Road is found in Bolivia and was built to connect La Paz and Coroico. It was eventually nicknamed to Road of Death, a name which was confirmed in 1995 after it was named the world’s most dangerous road. At one point it was estimated that this road claimed 200-300 lives every year! So it is no joke. It featured in the Top Gear Bolivia special, which saw Hammond navigate it in a second-hand Toyota Land Cruiser, James May in a Suzuki Samurai and Jeremy Clarkson in a red Range Rover. 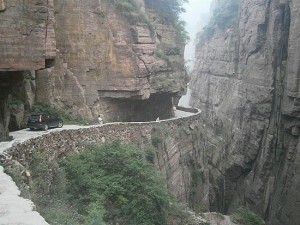 The Guoliang Tunnel Road is found in a mountainous region of China in the Hunan province. 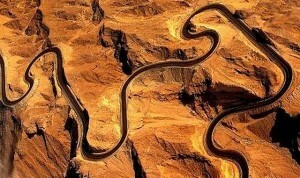 It is absolutely fantastic to look at, and it is literally carved into the mountain. 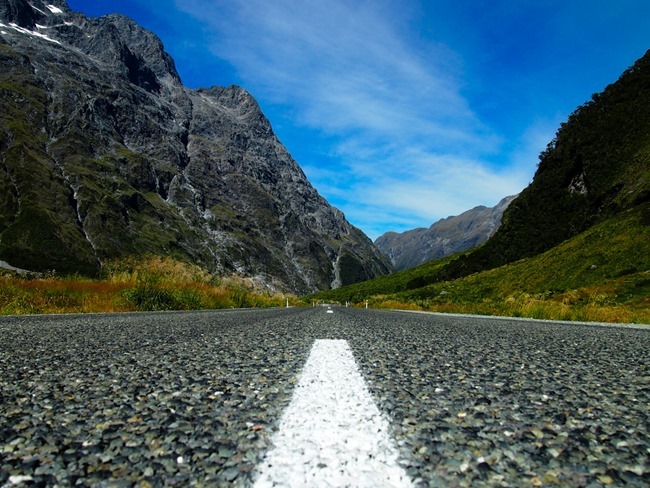 This is another dangerous road, and has quite a reputation for being unforgiving, so make sure your car has passed its MoT test with flying colours because you do not want your brakes failing on you on this road! This spectacular road is located in the United Arab Emirates and stretches for 7.3 miles featuring 60 turns as it scales a mountain which reaches heights of 1,219m. 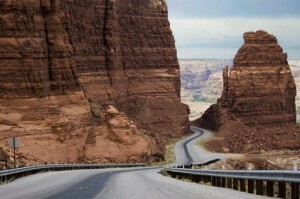 Unlike the last two, this road is pure fun and you won’t have to worry about falling off the side of a cliff. The road eventually comes to an end at an impressive Hotel and a Magnificent Palace. I have had the pleasure of driving on this road before, though I have to admit, I needed to replace the handbrake after some not so sensible turns I found myself doing. This road meanders through the Southern Alps of New Zealand’s South Island, hardly surprising that the place which was used for the backdrop of the Lord of the Rings trilogy would offer such incredible scenery. The Milford Road is part of the State Highway 94 and it takes you from Te Anau through Fiordland National Park before you finally arrive in Milford Sound, a place which is favoured by many tourists.